Eighteen studies were analyzed, in which a total of 853 patients were treated with cranial electrotherapy stimulation (CES) for depression. The patients had presented with various clinical syndromes, of which depression played a major part. The treatment outcome depression scores were combined statistically in order to get a more confident look at the effectiveness of CES for treating this condition. While many of the studies were of the classic double blind protocol, others used either the single blind, the cross over design or were open clinical trials. The result of the analysis showed that the overall effectiveness of CES was 47% improvement. The results indicated that various types of depression, which accompany a wide range of clinical syndromes can be expected to respond, sometimes dramatically to CES treatment. The goal of clinical studies is always to first test the effectiveness of a potential treatment and secondly to discover which patients the treatment may be most effective in treating. Meta-analysis has the effect of allowing researchers to essentially study a larger number of patients than can usually be assembled for a single study, and the larger the combined study sample, the greater is the confidence that can be placed in the study outcome: that the study findings are true and accurate. Also, the more diverse the study group is in the combined sample, the more confident one can be in generalizing the study outcome to larger groups of patients outside the study. That is, it increases the range of potential types of depression patients that we can predict will be effectively treated with CES. In the table below is a summary of 18 studies that were combined into the meta-analysis reported on here. b Most of the rating scales, both by the patients and the clinicians were of published reliability and validity. In many of the studies, more than one measure of depression was used. In those cases, the average of the results was calculated and reported as the overall result of the study. In many of the studies, depression was but one symptom within a larger presenting syndrome. For example in many of the patients, fibromyalgia was the presenting symptom, while in another large group of studies substance abuse (drug abstinence syndrome) was the presenting diagnosis. The presenting syndrome or type of patient is given in column three of the table. In all of the studies, however, depression was a major diagnosis within the presenting syndrome or group. 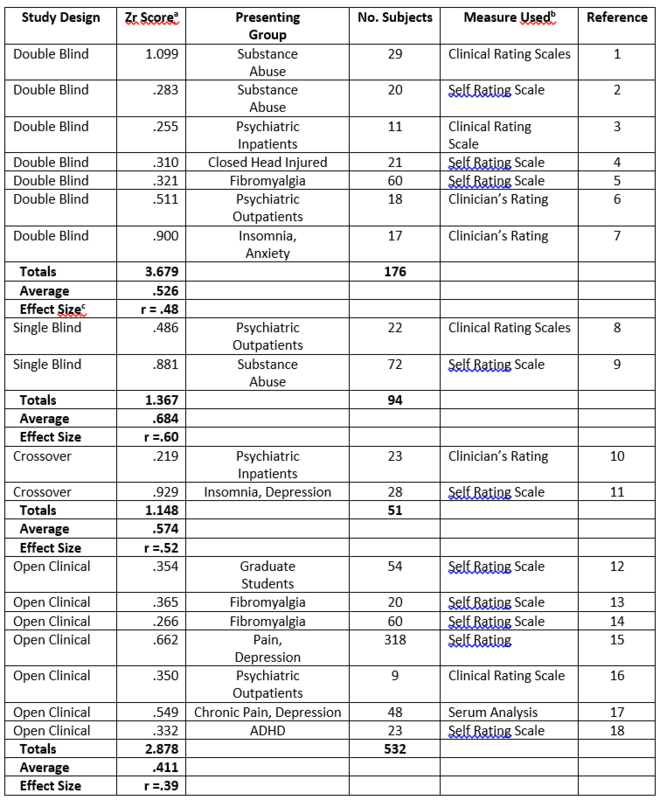 In the open clinical study, the patients know they are being actively treated for their depression, the clinicians know who is being treated, and the statistician who summarizes the study data also knows, since there is only one group of patients. This entry was posted in CES Research on May 26, 2018 by cesadmin. 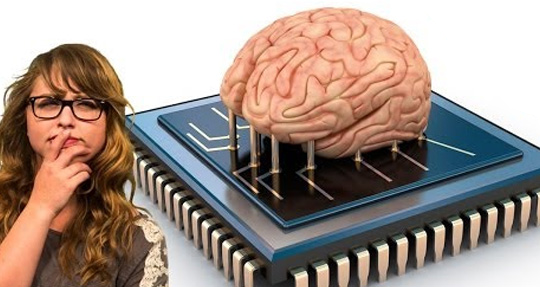 Do You Need a brain implant? Interested? But why go through a highly invasive and dangerous procedure? Why needlessly spend thousands of dollars to do so? Not when there’s a safe, non-invasive alternative—with no negative side effects, at a fraction of the cost. Plant seeds in your garden, not devices in your brain. Learn how the CES Ultra can help you. 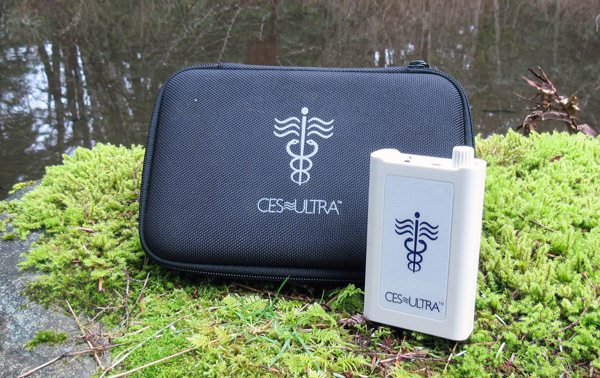 This entry was posted in Alternative Health, CES Ultra device on May 6, 2018 by cesadmin. The Cost of a Good Night’s Sleep: Would you pay $90,000 ? Do you have to? Actually not all $90,000 but a little less – $89,995.00. This is exactly the price of a Nap Capsule that you can buy from its manufacturer Relaxman from Medirelax on amazon. If you are a student you can get a big 45% discount – if you are buying it from Boston News. They advertise the product in their Gift Guide for the Overtired College Student as “You can get this Relaxman capsule for your favorite sleepy scholar for the low price of $49,995! And look what you can get for the price. Psycho Stimulation Shuttle. 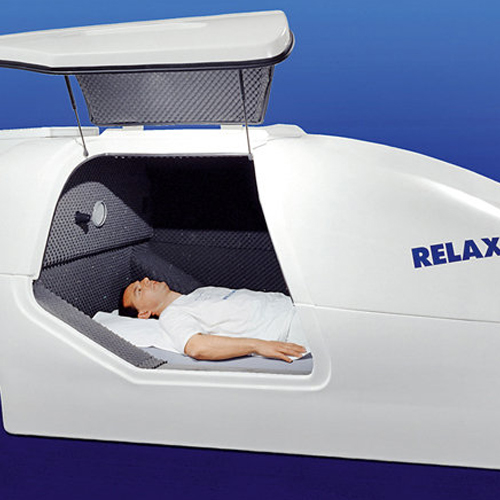 This “space vehicle” combines sensory stimuli insulation with a program chosen to induce extreme relaxation that will allow you in one session of 50 minutes replace sleep. Welcome aboard Relaxman! Comfortably installed in the cabin you will leave no effort to discover the sleeping borders. Guided by the program, you will explore your mental space without losing consciousness. At the end of the session you will be returned to your waking preserving the memory of the whole experience. Relaxman the shuttle is a real vehicle exploration of the interior spaces in lucidity. The most obvious applications are Relaxman sleep or jet lag recovery, treatment of sleep disorders, stress management, exploration and personal development. If you think that we are joking – you are wrong, we are quite serious. The nap capsule is a real. The first example was made in 1986 and was honored with a diploma of the Russian Academy of Medical Sciences. its technical data: Structure of composite materials. Length: 300 cm. Width: 170 cm. Height: 140 cm. Net weight: 250 kg. External Power Supply: 220 V – 10 A Power consumption: 50 – 150 W. And a few multimillionaires are already enjoying it. Probably even Elon Musk bought a few for his SpaceX, who knows. What I know for sure – most of people cannot afford it for sure. But we all deserve a good nap or night sleep. Why not to use something much more cheaper, more compact and user-friendly. Try Cranial Electrotherapy Stimulator instead, specifically the CES Ultra. This entry was posted in CES Ultra device, What they tell about CES Ultra on May 4, 2018 by cesadmin. For a public increasingly concerned with the effects of stress on physical health and emotional well being, CES (cranial electrotherapy stimulation) provides a way of addressing that stress in a safe and effective manner. CES is not only for those with a diagnosed condition but those simply coping with the stresses of an everyday existence. Whether one is a student under pressure in preparing for an exam, an athlete dealing with pre-competition anxiety, a businessman dealing with the stresses accompanying his work, or a housewife juggling her many responsibilities, CES can help them lead a more balanced and productive. CES impacts most directly by reducing anxiety. This is often experienced in the course of treatment; for others, hours, or several days after. CES leaves the patient feeling both relaxed and alert. The effect differs from pharmaceutical treatments in that people report their body as feeling lighter and more relaxed and their mind, more alert and clear. Results are cumulative and lasting. For those suffering from depression and anxiety, CES means relief with none of the unpleasant side effects of prescription drugs. For those seeking nothing more than a good night’s sleep, it is an alternative to habit-forming tranquilizers. CES Ultra users report that depression and mood swings become less frequent, as do irrational anger, irritability, and poor impulse control. You’ll find mental confusion due to stress begin to subside. Your ability to focus and concentrate on work will become easier and more efficient, with visibly enhanced cognitive processing. As your concentration and memory improve, recalling information and learning in an accelerated manner should return to normal pre-stress levels. This entry was posted in CES Ultra device, CES v. Drugs on May 3, 2018 by cesadmin.